Energy Efficient Control of High Speed IPMSM Drives - A Generalized PSO Approach, GECIC, M., KAPETINA, M., MARCETIC, D.
CHELLADURAI, C. , VICTOIRE, A. A. This article implements Crisscross optimization technique with comprehensive vertical crossover (CSCVC) to solve the combined economic and emission dispatch (CEED) problem. The optimization problem considered here is multi-objective, as it involves both cost and emission to be minimized simultaneously. This complex and challenging problem can be solved using specialized technique which could thoroughly search the solution space and locate the best optimal set of solutions. The proposed CSCVC technique generates good quality solutions by implementing three interacting search operators, namely horizontal, vertical and Comprehensive crossover stages. To prove the superiority of the proposed technique numerical simulations are performed on 6, 10, and 14 Units test systems. The numerical results are compared with other existing methods in the literature and it is shown that the proposed CSCVC technique outperforms the other methods in terms producing minimum cost and emission. D. C. Walters, and G. B. Sheble, "Genetic algorithm solution of economic dispatch with valve point loading", IEEE transactions on Power Systems, vol. 8, no. 3, pp.1325-1332, Aug 1993. IEEE Current Operating Problems Working Group, in: "Potential impacts of clean air regulations on system operations", IEEE Trans. Power Syst, vol. 10,pp. 647-653, May 1995. J. Nanda, D. P. Kothari, K. S. Lingamurthy, "Economic-emission load dispatch through goal programming techniques",IEEE Transactions on Energy Conversion, vol. 3, no. 1 pp. 26-32, Mar 1988. J. Nanda, L. Hari, M. L. Kothari, "Economic emission load dispatch with line flow constraints using a classical technique", IEE Proceedings-Generation, Transmission and Distribution, vol. 141, no. 1, pp.1-10, Jan 1994. J. Y. Fan, L. Zhang, "Real-time economic dispatch with line flow and emission constraints using quadratic programming". IEEE Transactions on Power Systems, vol. 13, no. 2, pp.320-325, May 1998. M. A. Abido, "Environmental/economic power dispatch using multiobjective evolutionary algorithms", IEEE Transactions on Power Systems, vol. 18, no. 4, pp.1529-1537, Nov 2003. M. Basu, "Economic environmental dispatch using multi-objective differential evolution", Applied Soft Computing, vol. 11, no. 2, pp.2845-2853, Mar 2011. P. K. Roy, S. P. Ghoshal, S. S. Thakur, "Combined economic and emission dispatch problems using biogeography-based optimization", Electrical Engineering (Archiv fur Elektrotechnik), vol. 92, no. 4, pp.173-184, Oct 2010. T. Apostolopoulos, A. Vlachos, "Application of the firefly algorithm for solving the economic emissions load dispatch problem", International Journal of Combinatorics, vol.2011, Dec 2011. S. Sivasubramani, K. S. Swarup, "Environmental/economic dispatch using multi-objective harmony search algorithm", Electric power systems research, vol. 81, no. 9, pp.1778-1785, Sep 2011. N. Pandit, A. Tripathi, S. Tapaswi, M. Pandit, "An improved bacterial foraging algorithm for combined static/dynamic environmental economic dispatch", Applied Soft Computing, vol. 12, no. 11, pp.3500-3513, Nov 2012. S. Rajasomashekar, Aravindhababu, "Biogeography based optimization technique for best compromise solution economic emission dispatch", Swarm and Evolutionary Computation, vol. 7, pp.47-57, Dec 2012. U. Guvenc, Y. Sonmez, S. Duman, N. Yorukeren, "Combined economic and emission dispatch solution using gravitational search algorithm", Scientia Iranica, vol. 19, no. 6, pp.1754-1762, Dec 2012. 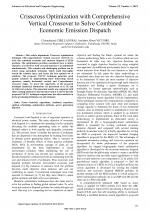 C. Koodalsamy, S. P. Simon, "Fuzzified artificial bee colony algorithm for nonsmooth and nonconvexmultiobjective economic dispatch problem", Turkish Journal of Electrical Engineering & Computer Sciences, vol. 21, no. 1, pp.1995-2014, Oct 2013. A. M. Elaiw, X. Xia, A. M. Shehata,"Hybrid DE-SQP and hybrid PSO-SQP methods for solving dynamic economic emission dispatch problem with valve-point effects", Electric Power Systems Research, vol.103,pp.192-200,Oct2013. H. Shayeghi, A. Ghasemi, "A modified artificial bee colony based on chaos theory for solving non-convex emission/economic dispatch", Energy Conversion and Management, vol. 79, pp.344-354, Mar 2014. B. Jeddi, V. Vahidinasab, "A modified harmony search method for environmental/economic load dispatch of real-world power systems", Energy Conversion and Management, vol. 78, pp.661-675, Feb 2014. 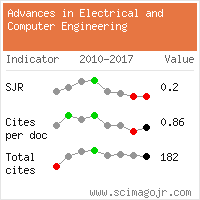 S. Jiang, Z. Ji, Y. Shen, "A novel hybrid particle swarm optimization and gravitational search algorithm for solving economic emission load dispatch problems with various practical constraints", International Journal of Electrical Power & Energy Systems, vol. 55, pp.628-644, Feb 2014. D. Aydin, S. Ozyon, S,C. Yasar, T. Liao, "Artificial bee colony algorithm with dynamic population size to combined economic and emission dispatch problem", International journal of electrical power & energy systems, vol. 54, pp.144-153, Jan 2014. M. Modiri-Delshad, N. A. Rahim, "Multi-objective backtracking search algorithm for economic emission dispatch problem", Applied Soft Computing, vol. 40, pp.479-494, Mar 2016. A. Y. Abdelaziz,E. S. Ali, S. A. Elazim, "Implementation of flower pollination algorithm for solving economic load dispatch and combined economic emission dispatch problems in power systems", Energy, Vol. 101, pp.506-518, Apr 2016. A. B. Meng, Y. C. Chen, H. Yin, S. Z. Chen, "Crisscross optimization algorithm and its application", Knowledge-Based Systems, vol. 67, pp.218-229, Sep 2014. R. Zhang, J. Zhou, L. Mo, S. Ouyang, X. Liao, "Economic environmental dispatch using an enhanced multi-objective cultural algorithm", Electric Power Systems Research, vol. 99, pp.18-29, Jun 2013. M. S. Subathra, S. E. V. Selvan, T. Aruldoss Albert Victoire, A. H. Christinal, U. Amato, "A hybrid with cross-entropy method and sequential quadratic programming to solve economic load dispatch problem", IEEE Systems Journal, vol. 9, no. 3, pp.1031-44, Sep 2015. T. Aruldoss Albert Victoire, A. E. Jeyakumar, "Unit commitment by a tabu-search-based hybrid-optimisation technique", IEE Proceedings-Generation, Transmission and Distribution, vol. 152, no. 4, pp.563-574, Jul 2005. Citations for references updated on 2019-04-18 23:16 in 170 seconds.